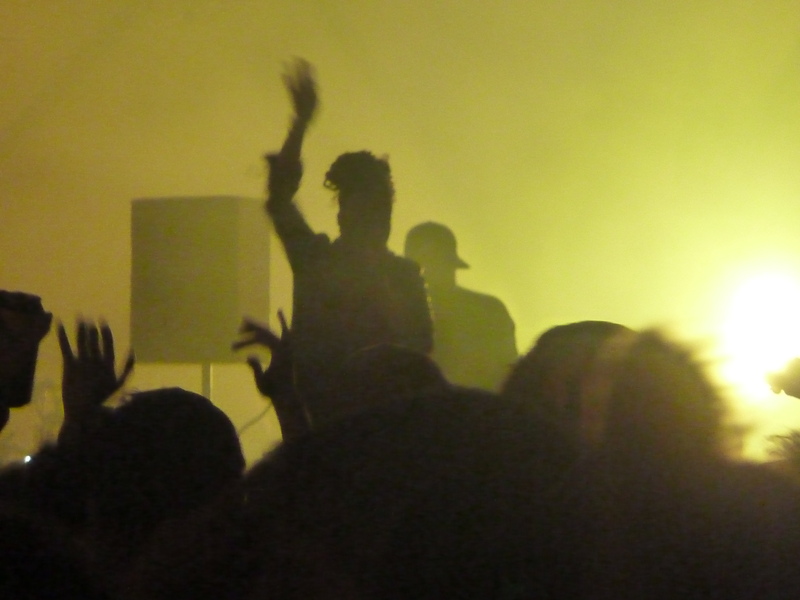 I haven’t blogged for ages. 2017 was a funny old year: lots of great things, lots of travelling and lots of getting used to quite a new way of life on many fronts. It definitely deserves recording, though, so here, belatedly, is a photographic review of ELART and other projects that happened. As always, thanks so much to anyone who was involved in any way. Productions/events pictured below include projects with Kendal Community Theatre (one of which involved recording a radio play in a bathroom! ); Lancaster Fun Palace; all-female Shakespeare in Stratford; more Shakespeare in a big top circus tent in a park in Rotherham with a cast of well over 100 children and, finally, in December, a sell-out Christmas show in Lancaster Castle. 2018 projects have already begun. 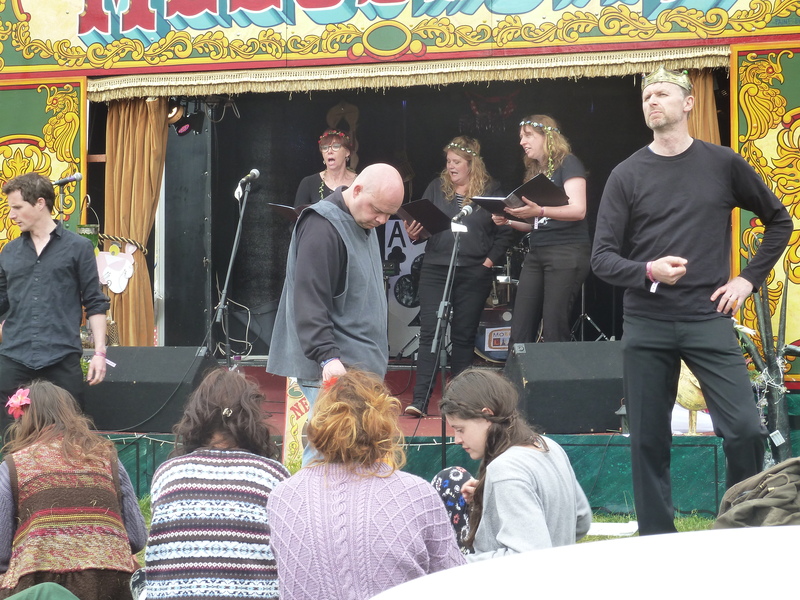 I’m looking forward to more Kendal Community Theatre – planning for their July festival celebrating women’s suffrage “The Trouble With Women” – and also to more Shakespeare and other writers/projects out and about. First, on March 3rd, comes a rehearsed reading of some Aristophanes – the opening of “The Assemblywomen” – all about what happens when women try to gain political power. It’s approximately 2.5 thousand years old and still all-too-sharp and relevant… Exciting things ahead, then. 2016 has been a busy year. In January, the Rose Company dominated with Arts Council funded Research and Development on the battle scenes of Coriolanus. Working with a talented team of women started the year off in an excitingly challenging way. Both The Rose Company and ELART Productions were involved in the Bard By The Beach Shakespeare Festival in April. 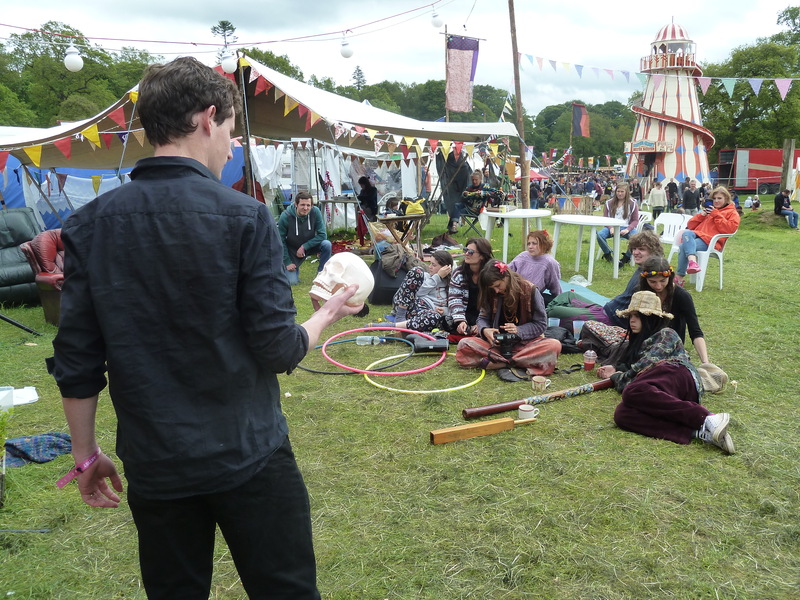 The Rose Company provided an afternoon workshop and a series of Shakespeare “statues” that came to life, delivering monologues when an audience appeared in front of them. ELART Productions presented Shakespeare’s Seven Ages (pictured below in rehearsal) – and this was the start of a run of ELART Shakespeare – perfect for #Shakespeare400! 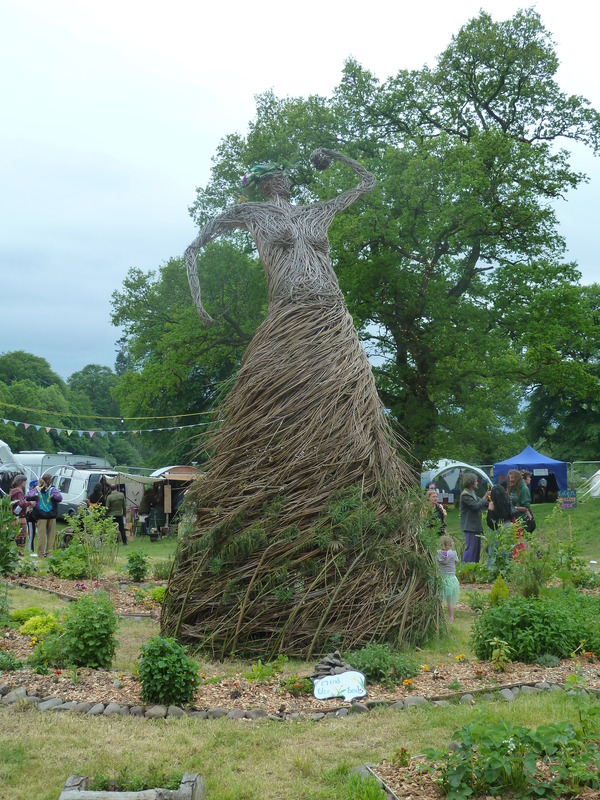 June saw a return visit to The Eden Festival in Scotland with our Shakespeare extracts show All The World’s A Stage. 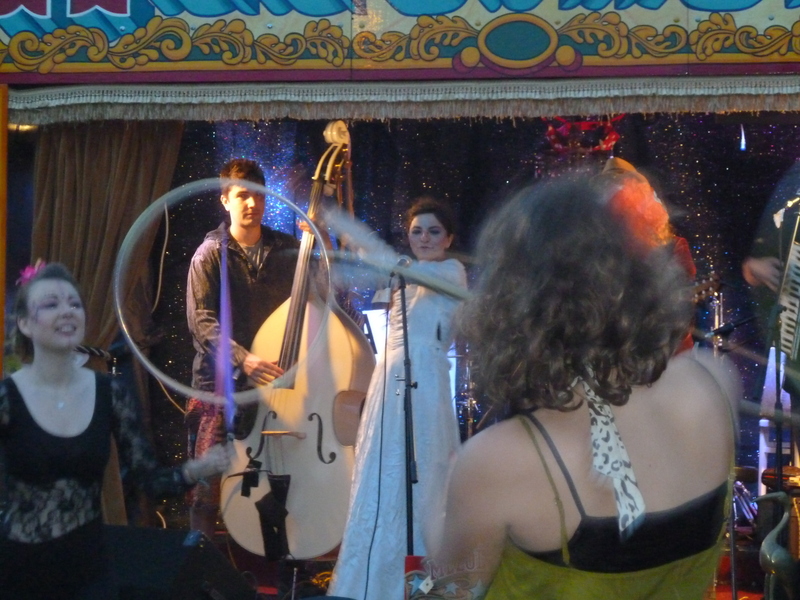 We had a great time and it was a joy to perform on the fabulous Melodrome again, this time in the Chas Ambler Would. 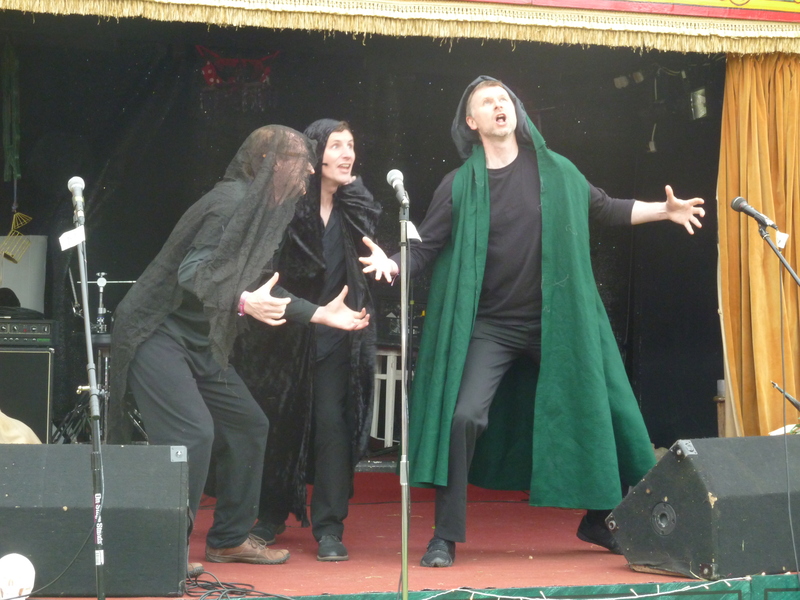 A Midsummer Night’s Dream came next in two different venues – a charity performance in St John’s Hospice Midsummer Marquee, followed by a sell-out evening performance in Lancaster Library. This was the biggest cast I had worked with for ages and the energy and fun was fantastic all through as should be clear from the pictures below, taken in a range of rehearsals and the Dress Run. Kendal Yarns followed at the end of July and what an experience that turned out to be – I still can’t believe how much was achieved in a fortnight! 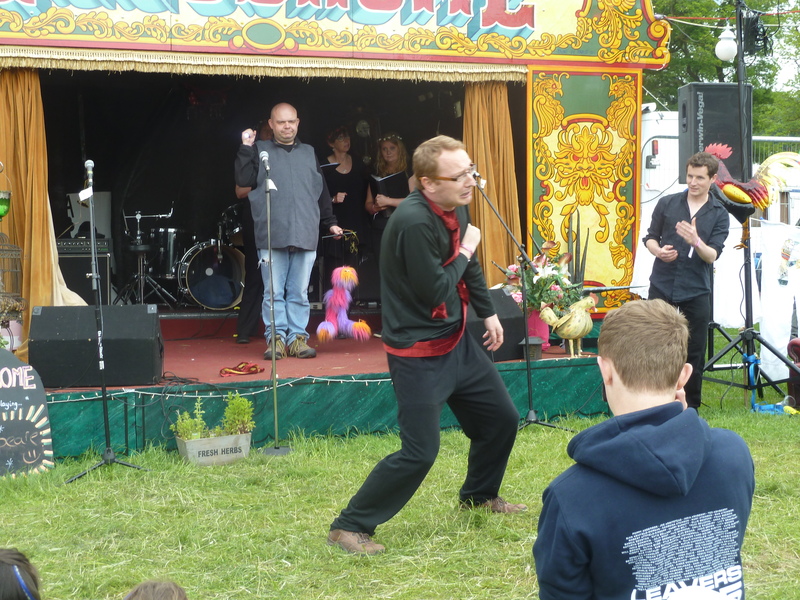 Concisely here, as blogged in much greater detail earlier, it was an absolutely brilliant community festival. 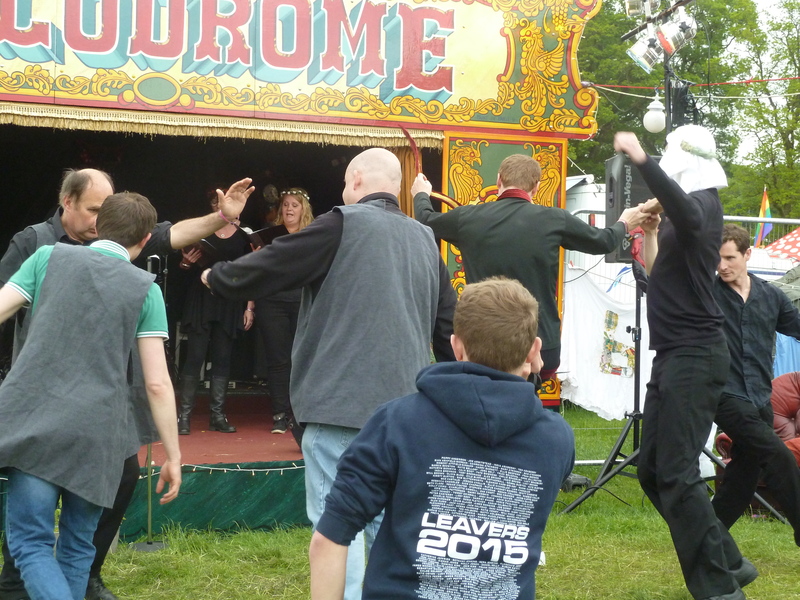 The day after Kendal Yarns we performed All The World’s A Stage on the Melodrome Mobile Stage again. While in some ways the timing wasn’t perfect (I was exhausted! ), it was a particularly special event for two reasons: firstly, I’d wanted to put something on in Lancaster Castle courtyard for ages – what a location on a sunny day! – and secondly, two of my goddaughters were in the audience. Finally at the end of November, came an event in aid of Lancaster and Morecambe City of Sanctuary – a charity close to my heart. And that was 2016. During what I’m sure many of us will agree has been a challenging year, I have managed mostly to retain a sense of positivity and hope – in no small part due to the events listed here. Thanks to every single person who has been any part at all of any one – onstage, offstage, audience etc… Theatre and the Arts could not be more important than now and there are already several ELART and other events in the pipeline for the new year, but more warmly welcomed – collaborations, commissions etc… Get in touch, however fledgling the idea. Let’s work together! All the best for the festive season and beyond. I’ve been in rather a state of shock since yesterday morning – and I know I’m joined in that by people from every part of the political spectrum. What a strange new world we are living in. One of the great joys of putting on a play is working with a group of great people. 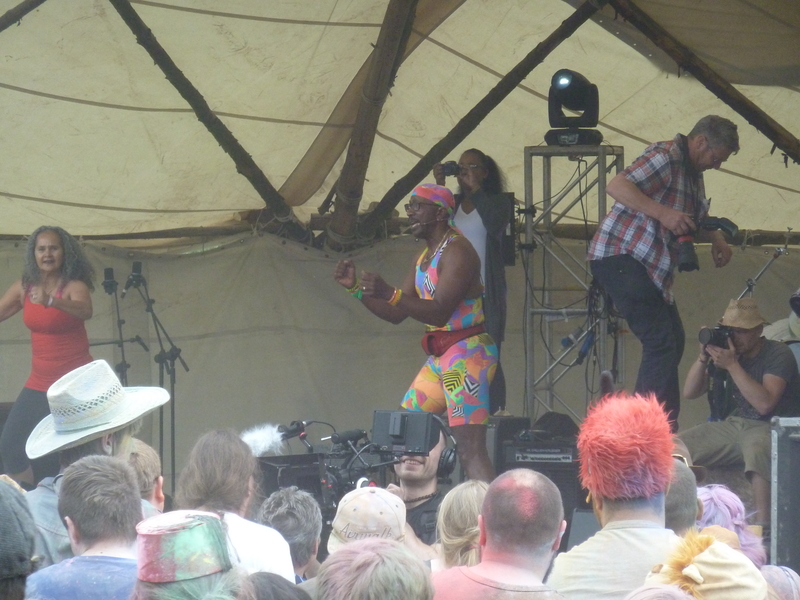 A Midsummer Night’s Dream is proving no exception. Here are ELART’s Dream Team in rehearsal. Shows: June 26th St John’s Hospice 2pm and Lancaster Library July 1st 7.30pm. Life is busy and complicated. Again. So, trying to put even a short production of A Midsummer Night’s Dream together is a challenge to say the least. Having said that, it’s a challenge I’m very pleased to be undertaking, not least because one of our two forthcoming performances is a charity performance for St John’s Hospice (2pm Sunday June 26th) and the other is at one of my favourite community spaces – Lancaster Library (7.30pm Friday July 1st). I’ve got a talented and committed cast. They’re hard-working and lovely to create with – willing to trust me and each other and try almost anything, which is vital in a process of this nature. I’m expecting a lot of them, I know; rehearsal time is at a premium, so I need them to work out of rehearsal, individually, in a really professional way, learning lines, thinking about and developing character, finding characterisation and then bringing all that work to rehearsal to play and refine further. They’re coping, pulling together – and there are some lovely things happening already. With an intensive week ahead, I think we’re going to be ready. Just! We really hope you’re going to join us. Or just turn up on the door! Procrastination isn’t generally one of my flaws. (Trust me, I have plenty without it…!) In almost every case, I prefer to tackle things on time, if not early, and get on with jobs that need doing. There is, however, one area where I’m a huge procrastinator, and I am, in fact, engaging in procrastination at the moment. This is because I have a show to devise and pin down. A show, to be precise, for the Bard By The Beach April Shakespeare festival. However, I currently have a fab actor waiting for a draft script, and, exciting as possibilities are, it’s also exciting to find out exactly what a show will be. In any case, especially in a production like this, collaborative decisions will continue to be made (probably) right up to performance day; nothing is ever completely shut down. It’s been a crazy weekend (in a crazy year so far…). 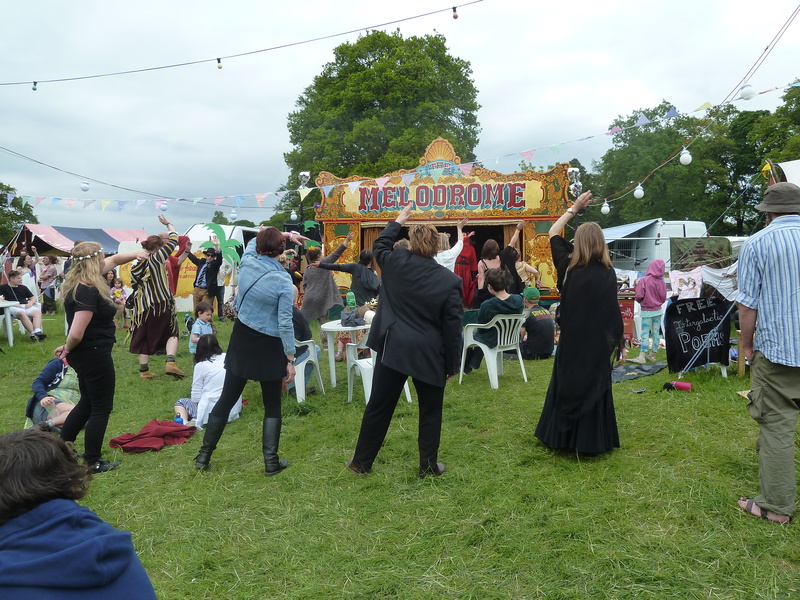 A few weeks ago I was invited by the Melodrome stage to take some Shakespeare scenes to The Eden Festival. I said yes – not really knowing what I was letting myself in for! – and I am so glad I did. The Rose Company performed scenes from Richard the Third (detail to follow on http://www.rosecompanytheatre.com) and ELART Productions performed scenes from my “All The World’s A Stage” show – a devised piece which links a range of famous scenes from various Shakespeare scenes with an original, humorous narrative. 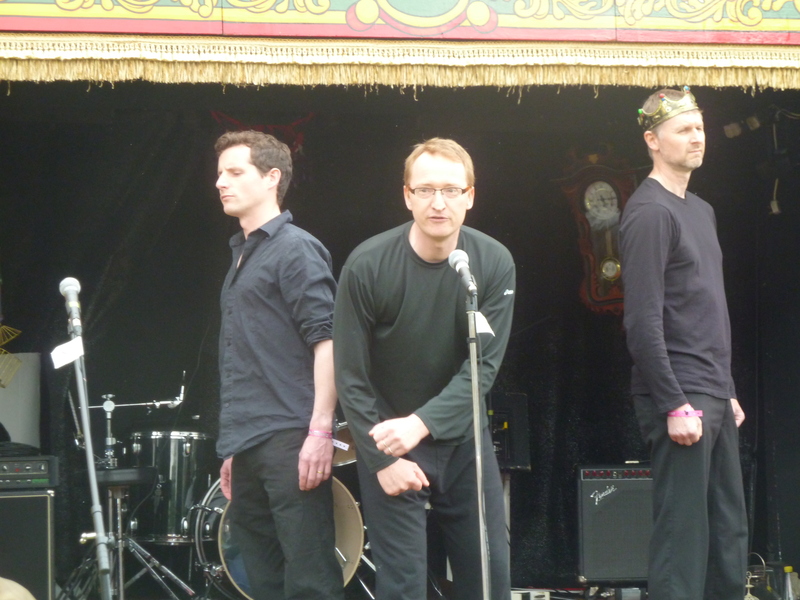 “All the World’s A Stage” is a show that (pleasingly) refuses to die as the version for The Eden Festival was its fifth incarnation; before this, it has been performed in two different venues in Lancaster, filmed for an Australian fringe theatre festival and presented in Stratford-upon-Avon in the RSC Dell. 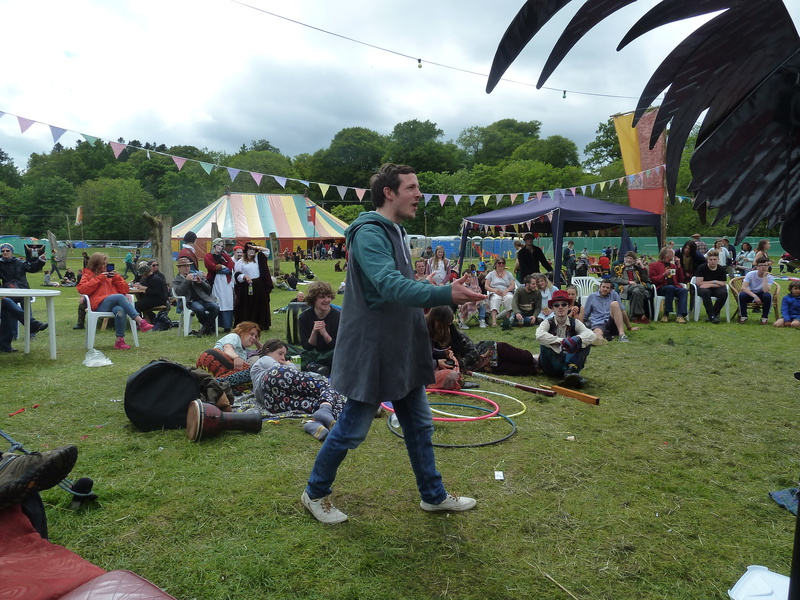 At the Eden Festival, as has been the case before, the Mechanicals were a hit with all ages, and the manically humorous witches also went down very well, as did a range of Shakespearian insults! 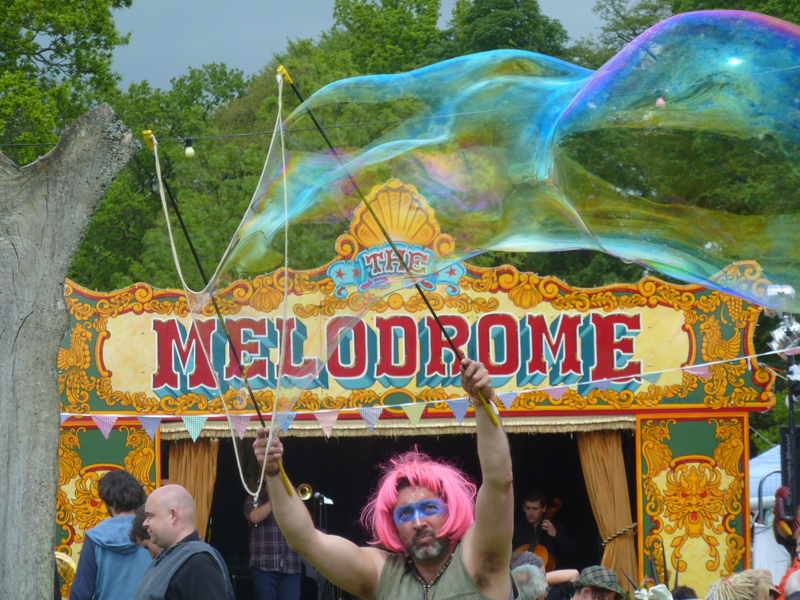 It was fantastic to perform on The Melodrome stage (I couldn’t resist performing myself – mainly singing) – and I really hope we can do this all again…! 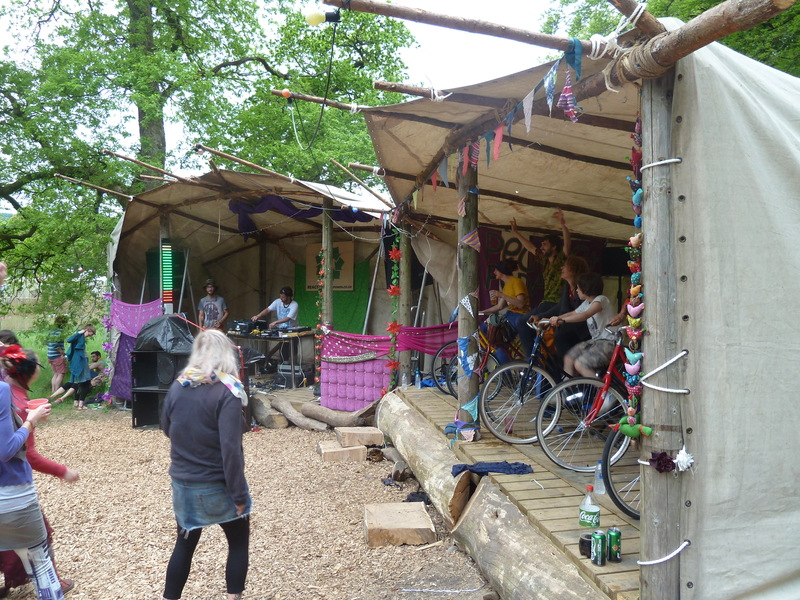 As for The Eden Festival as a whole: where else could you see Mr Motivator, Ms Dynamite, The Cat Empire and an eclectic range of other talented groups on a range of stages (one sound system powered by bicycle!) 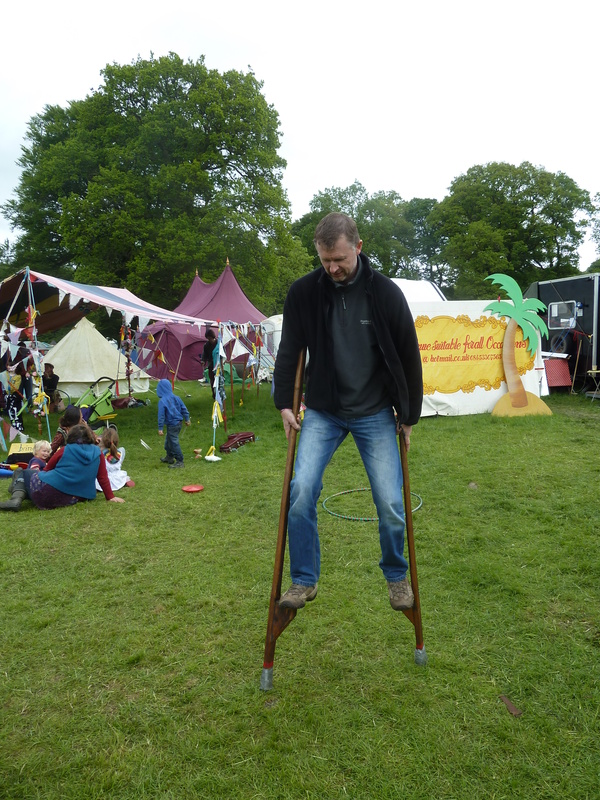 as well as hear Storytelling, watch Improv, take part in a Bush Rush, juggle, stilt walk etc etc etc?